Of the thirty-three men who have made the coveted list of People’s Sexiest Man Alive, Idris Elba is the third black man to ever make the cut. He is not just one of the sexiest men alive, he is also a talented man who has done extensive work in the entertainment industry, especially on the big and small screens. The actor has had a number of relationships and each one has received attention from the media and his fan base. This article is about the relationship he had with his penultimate girlfriend, Naiyana Garth. To learn more about Naiyana Garth and Idris Elba – how they met and the cause of their break up, keep reading. Not much is known of Naiyana Garth’s life, as she is the much less popular one in the pair. She was born sometime in 1987, in the United Kingdom, it is speculated that she was born in London. For her formal education, Garth went to Waldegrave School; this is a girls-only school where she got her high school diploma from. For her university education, she attended West Thames College which is located in West London. Prior to her relationship with Elba, Garth was already known within the entertainment industry as a hair and make-up artist who has worked with a number of stars. Born on the 6th of September in 1972, Idris Elba’s parents were African immigrants to the United Kingdom at the time. His father is Sierra Leonean while his mother is Ghanaian. His foray into acting began in his teenage years while in high school, his first major role was in the play The Stage. As he grew older, Elba got involved in DJing before making a return to acting in his twenties. He has had a career in acting that has contained both the film industries of the United Kingdom and the United States of America and it has spanned over two decades. Elba is a multiple award-winning actor who also has a career in music and has some EPs and a Mixtape to his name. Some of his most notable roles include Heimdall in the Marvel Cinematic Universe, Sean Briar in the French-American action thriller, Bastille Day, Charlie Jaffey in Molly’s Game. Alba has also lent his voice to animated characters such as Shere Khan in the 2016 live action version of the Jungle Book, Fluke in Finding Dory and Chief Bogo in Zootopia. However, of all his roles, the one he is mostly remembered for is playing Nelson Mandela in Mandela: Long Walk to Freedom. How Did Naiyana Garth And Idris Elba Meet? 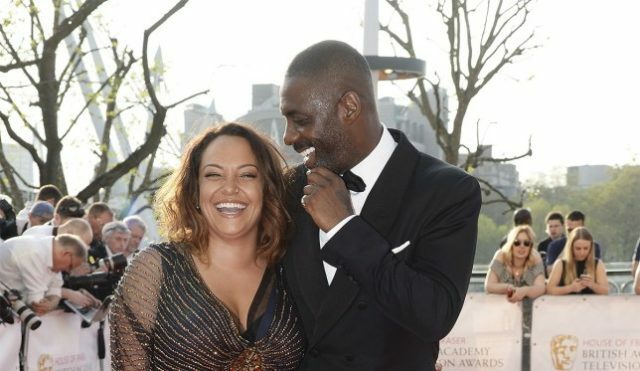 Before the relationship that Idris Elba and Naiyana Garth shared became known to the public, it appears that they had been dating for a while. It is speculated that the two met sometime in the early periods of 2013, as they announced their relationship in March of 2013, after the Women of The Year Awards hosted by Harper’s Bazaar. By the time the relationship has been announced, it would appear that the romance was long underway, with the members of their families knowing one another. The couple welcomed their child, Winston to the world in 2014. He is the second child of the actor who has a child with his Norwegian Ex-wife, Hanne Nørgaard. The name of Elba’s first child is Isan and she lives with her mother in Georgia. What Caused Naiyana Garth And Idris Elba To Split? Just like they kept most of their relationship details private, Naiyana Garth and Idris Elba have both managed to keep mum about the cause of their split. However, it has been hinted that the couple broke up as a result of infidelity on the part of Idris Elba, who is believed to have cheated on Garth. None of the claims have been confirmed by any of them. In an interview, Elba was asked to speak on the cause of their split and he alluded to things in his life going awry when he is not on set. The relationship lasted for three years and in February of 2016; the couple announced their break up. Since then, they have both moved on to different things. Naiyana Garth continues to be a Make-up artist and provides care for her son, while Idris Elba has gotten engaged to the model, Sabrina Dhowre.